I love history. But I love it even more when history is more than just a blur of dates and names, and instead becomes a convoluted tale of con men, miracle cures and Native American medicinal wisdom. Ok maybe not those exact things, but hey, I do love a good story. Echinacea, or Echinacea purpurea shown here is actually in the daisy family Asteraceae. Native to the the central and eastern Continental US, it’s habitat is versatile, growing in both wet and dry conditions, although it does prefer full sun. It’s namesake comes from the Greek acea meaning “the feminine version of something with qualities of, having the nature of, or resembling” and ἐχῖνος (echino), meaning sea urchin. So they were essentially calling this plant a girl sea urchin. 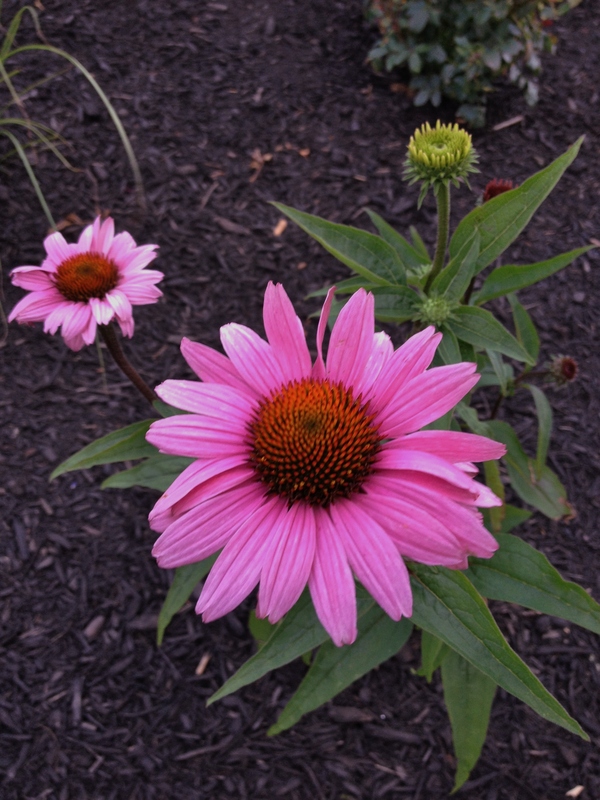 Native Americans had been using echinacea angustifolia for hundreds of years, observing wounded or sick elk seeking out the flowers while grazing. Calling it “oo-kah-to-ge-aquah” , the Kiowa and Cheyenne used it for coughs and sore throats, the Pawnee for headaches, and many tribes including the Lakota used it as a pain reliever. It was this medicinal use that at some point around 1869, drew the attention of a man, a doctor purportedly, by the name of Dr. H.C.F. Meyer. A Pawnee Nebraska native, his reputation definitely could have earned him a place on the mural at city hall in the TV show “Parks and Recreation”. Meyer claimed that his tincture of echinacea cured snakebites. That’s right folks, Meyer was one of the first Snake Oil salesmen. Hoping to capitalize on his patent, he wrote to two prominent physicians at the time, Dr. John Uri Lloyd, a professor at the Eclectic Medical Institute of Cincinnati and later president of the American Pharmaceutical Association; and Dr. John King, author of King’s American Dispensatory. He even offered to have himself bitten by a rattlesnake in their presence and be treated with only his extract remedy. The two doctors declined this particular demonstration. Yet after much persistence it was Dr. King who decided to give this echinacea a try. He seemed convinced enough of its healing properties although he did not necessarily endorse its most wild claims. John Uri Lloyd soon followed suite, and with the credentials of these two doctors amongst others, Dr. Meyer got his wagon together and began sweeping the Midwest and beyond, selling his snake oil, to unwitting midwesterners. 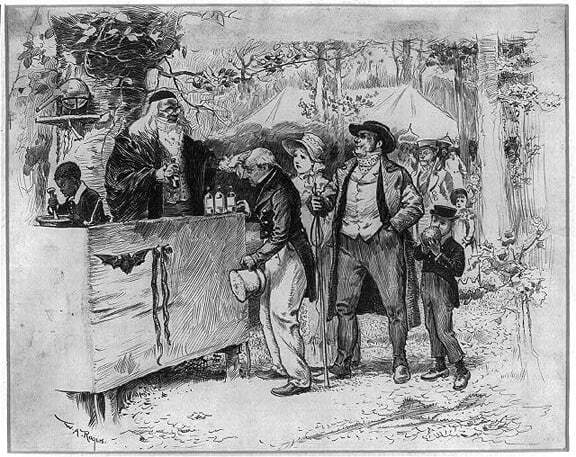 I’m not sure which is sadder, the fact that it seems that Dr. Meyer was convinced himself of the herb’s cure all status; that people were so desperate for relief from the devastating scourges ravaging the States at that time that they clung to any fast talking salesman with a bottle of “contents unknown”; or perhaps that their participation in all this, unwitting, unknowing or complete sincere, would produce a phrase, “snake oil, and snake oil salesman,” that could instantly conjure in ones mind the idea of a smooth tongued con artist ready to take your money in exchange for a product that was complete quackery. which ironically was the Native American’s original use…………….. for symptoms, not a cure. Leave it up to Americans to blow something far out of proportion, exaggerate it wildly, and then try to make a buck out of it.